Probe opened into prison officials after publication of notorious inmate’s photos | Russian Legal Information Agency (RAPSI). MOSCOW, December 4 (RAPSI) – Probe has been opened into penal colony officials following the emergence of scandal photos picturing violation of prison rules by a notorious gang member Vyacheslav Tsepovyaz, who is serving sentence for involvement in mass murder, the spokesperson of the Russian Prosecutor General’s Office Alexander Kurennoy has told journalists. The criminal case has been launched over alleged abuse of powers by the prison authorities. 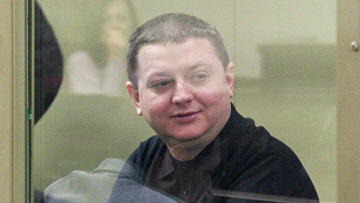 Examination conducted by prosecutors throughout 2018 revealed that prison officials made it possible for Tsepovyaz, an imprisoned member of Sergey Tsapok’s gang, to systematically violate the rules: eat gourmet food, have additional visits, freely use prohibited items.It was also found that the penal colony’s administration unlawfully mitigated the inmate’s prison conditions.